Let's check out image styles. In Drupal 7 this was under media and image styles. So the first big difference is that Drupal 8 comes with more default styles. This is helpful as a standard set of sizes that contributed modules and Core modules can leverage. As of right now if we go to the dropdown button it's clear that you can delete these, although I suspect that this ability will be removed in the future. In Drupal 7 any Core styles are non-deletable, even though you can modify them. 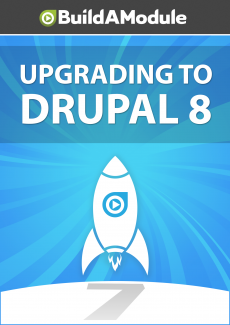 In Drupal 7 in order to flush out the images that have been generated through the image styles you would have to clear the sites cache. In Drupal 8 however you can flush individual styles. So if we wanted to rebuild these images for example, we can click the dropdown button and click flush.